Ben generously allowed his birthday party to be pushed back a few weeks as we needed a chance to catch our breath after Baby Emma’s arrival. 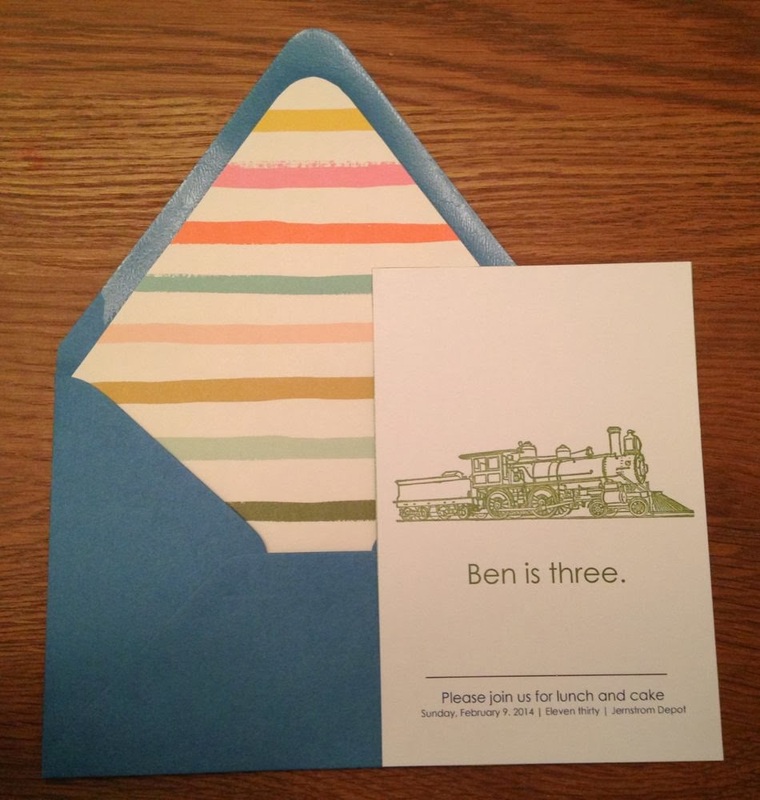 You know that we’ll use any party as an excuse to make fun invitations, even if there are only four attendees. 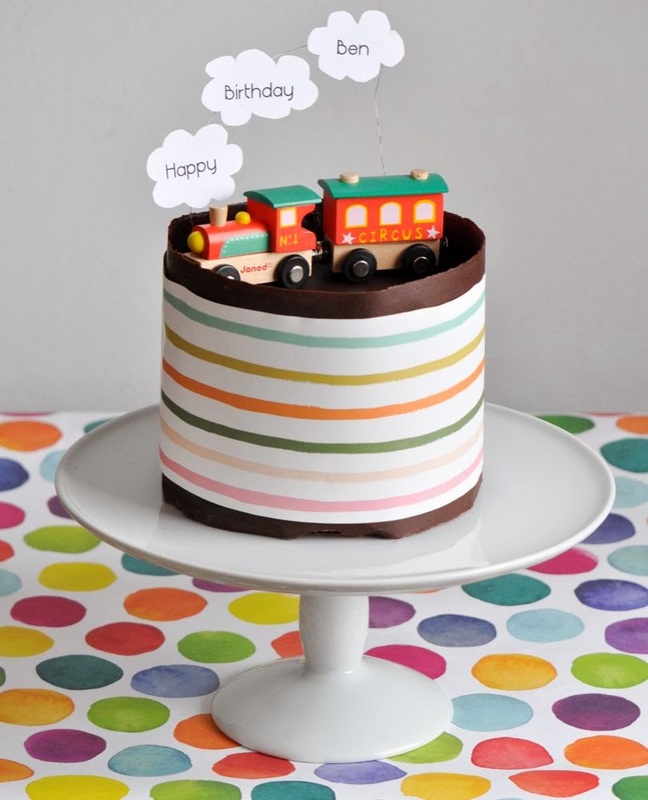 This year’s theme, as requested by the birthday boy himself: trains. A similar invitation can be found here. Thank goodness for free clipart and our local print shop. FYI: if you live in North Seattle, I really like the guys at Top Notch Copy and Print. They did our Christmas cards and all our other misc print stuff; they are fantastic to work with. Much better than having to lug myself all the way up to the Office Depot up on Aurora. I continue my love affair with Paper Source: envelopes and paper for the liners were acquired at that fine place o’ business. 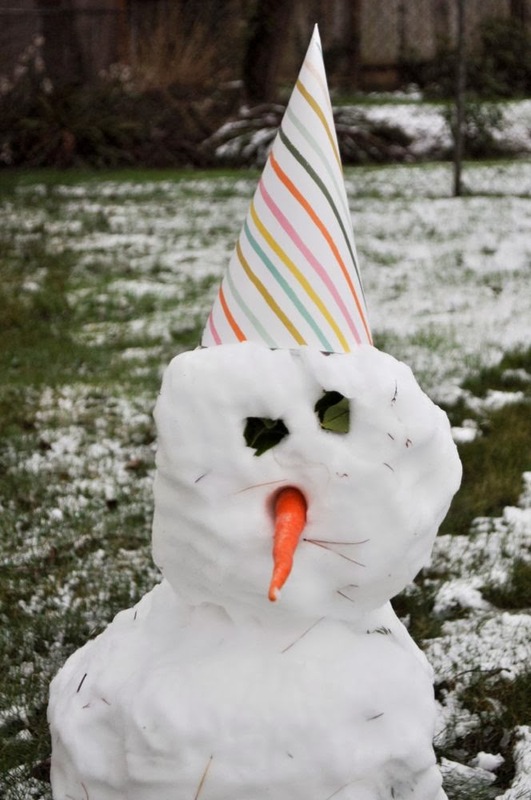 It also helps that all the party attendees were either a) fearless snow drivers (my parents) or b) from Alaska, and thus pretty experienced with inclement weather conditions (Megan and Alex). Thank you dear family members for braving the conditions to attend our fiesta! 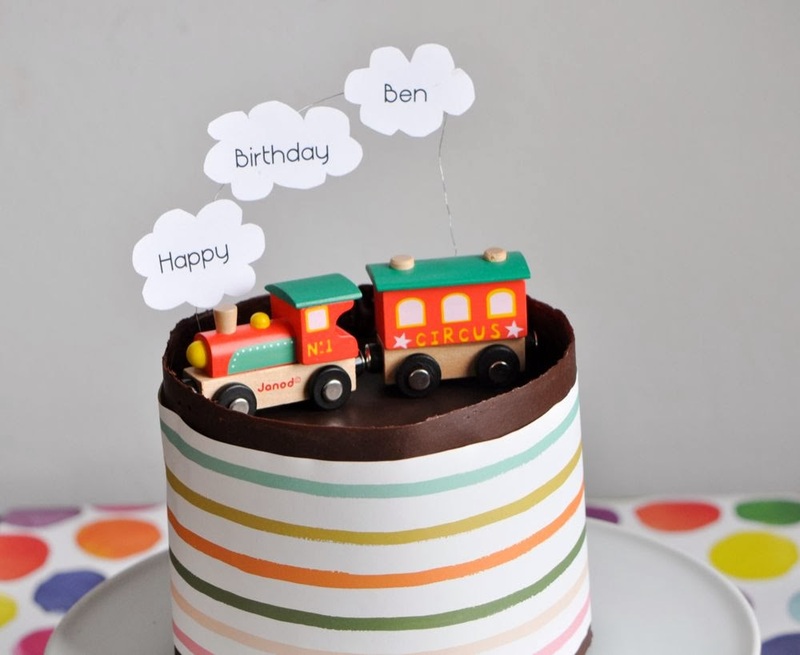 In keeping with the trains theme, I snagged a few pieces from Ben’s toy box to serve as a cake topper. We don’t earn any points for originality this year as the cake is exactly the same as last year, except I wrapped it in a chocolate wrapper instead of lemon icing. Anything with chocolate and ganache is delicious. Don’t mess with a good thing, right? 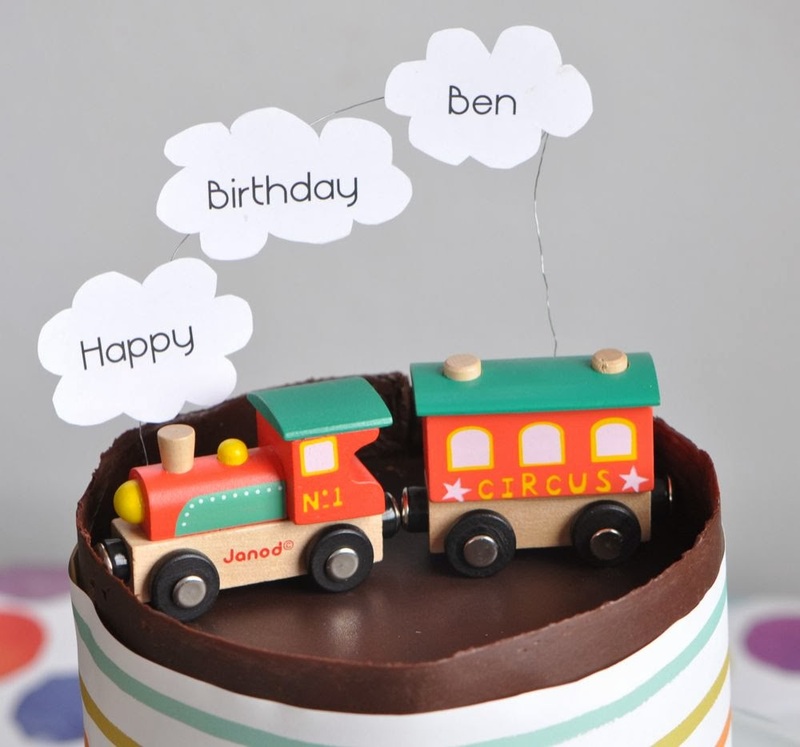 I never thought I’d make a birthday banner on locomotive exhaust...but I suppose there is a first for everything. I was in a bit of a panic on Friday because my first chocolate cake wrapper suffered a catastrophic crack down the front. The wrappers are actually kind of tricky - you have to time the wrap at exactly the right moment: too melty and it does a sorry sag, too hardened and it cracks all over the place. Fortunately a few seconds in the microwave will soften it up and allow for another attempt. 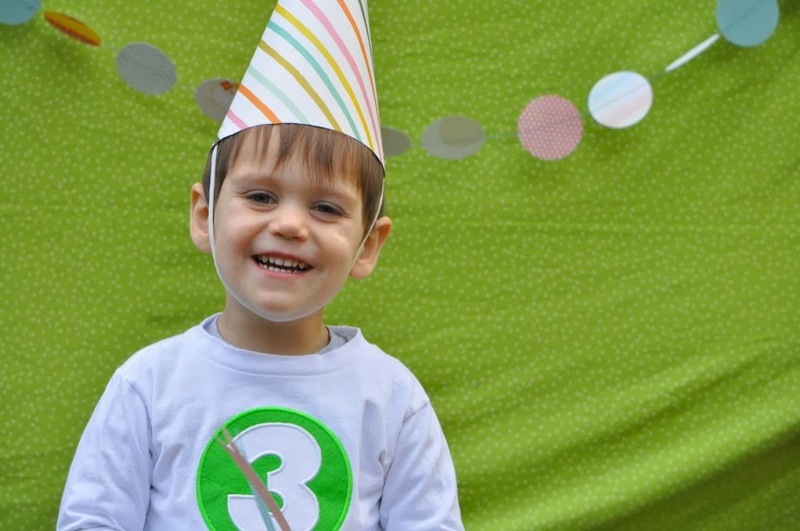 The banner is made out of a few wooden pegs (for securing it in the cake), some wire, and a few pieces of cloud paper. Trains from Janod. We’re going with simple package wrap jobs this year. 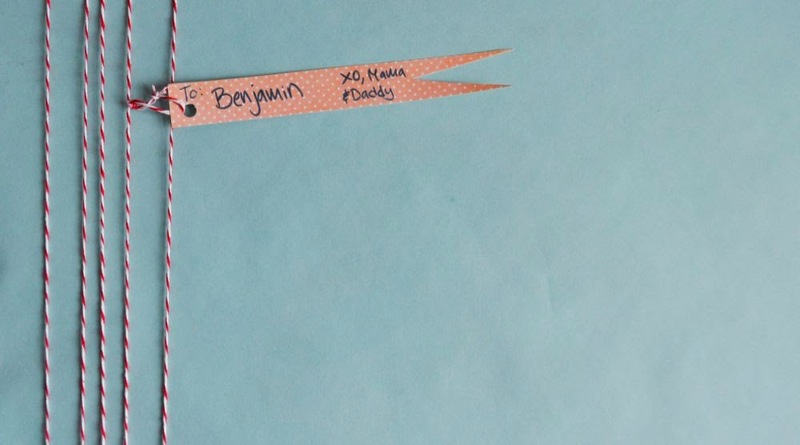 Paper, kitchen twine (also from Paper Source), and a little gift tag cut from fancy card stock. 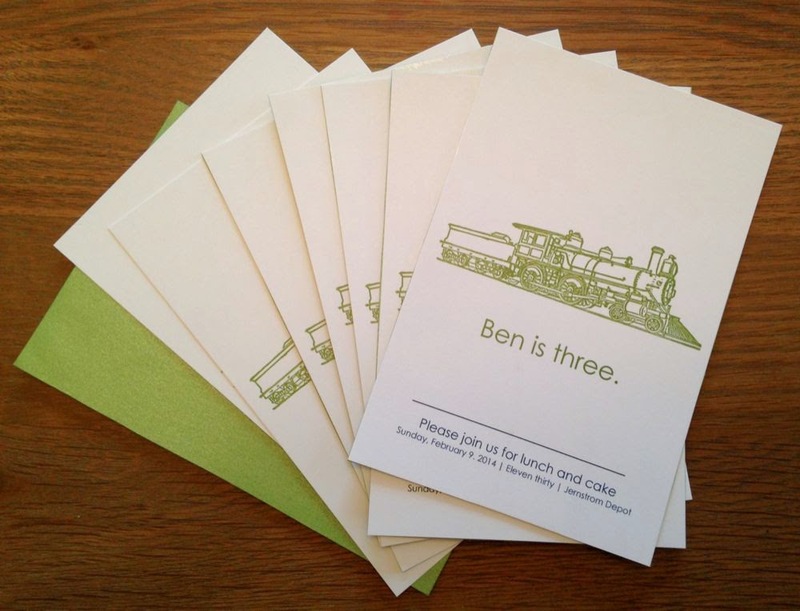 Randomly, Ben did not ask for trains for his birthday, despite the theme. He decided that Santa (yes, Santa!) needed to gift him with a pirate ship and fast cars. This pretty much sums up our little boy, right there. We’ve been reading bedtime books in pirate voices lately. Arrgh, matey! [FYI, he was out of luck on the pirate ship but he did get this Kidoozie Build A Road (with cars) and he’s completely enamored with it]. 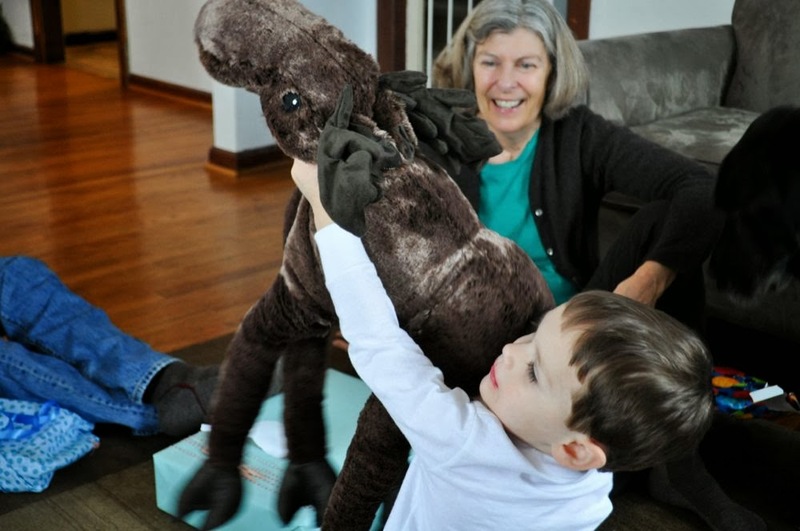 Personally, I love that the Alaskans stick to their roots: meet Molly the Moose. An immediate hit.